Beginners, pre-intermediate, “bridge”, and pre-advanced salsa lessons held every Thursday in Oakland taught by Salsa With Juan. The studio is open for salsa and bachata practice from 9-10pm, with DJ music. Free with paid class that evening or $5 drop in. Each week we repeat the former week's lesson AND learn something new! In Level 2+ (Intermediate+) you will learn a new pattern with a varying theme each month, with add-ons to challenge those who are in between Levels. Students are surprised at feeling so comfortable with the atmosphere - we have some of the friendliest dancers in the Bay Area! You will enjoy the recognizable beat of the Salsa music we play and gain confidence and skill with our progressive monthly series. Each class starts with a one or two song fun warm-up. Come join us for a month...or longer! Many students have been with us for years and you can read their great reviews on Salsa with Juan's YELP page. Don't wait any longer to embark on a lifetime of fun, friends and dancing with the Salsa with Juan Family! Salsa with Juan is fun, welcoming and dynamic place to learn Salsa. I have taken classes here for a few months now and Juan has been able to teach me the basics and challenge me as a dancer to grow. You will find the environment friendly and non intimidating for those who are shy like I was in the beginning. Juan makes you laugh with his silly jokes, is approachable and cares to help everyone grow. He will help explain things and teach you how you best understand. So if you want to be a great dancer and/or just learn for fun while making friends, this is the best place to learn. Feel bad for you to be fooled. I made the same mistakes when I was a beginner. Felt like starting all over again when I tried other accomplished instructors. The basics are the foundation of everything. Juan does not have a “sound and solid” foundation. Try other instructors then compare. I think Juan is a good guy and business man but definitely not a good instructor. I’ve been to this class once (a friend wanted me to check it out since it is close to her workplace) and don’t plan on ever going back. There is really nothing to learn, even the most basic steps are not explained well. The studio is nice and that’s about it. Dance instructors should have credentials to teach. Juan only has the “sweet” talk to entertain people. 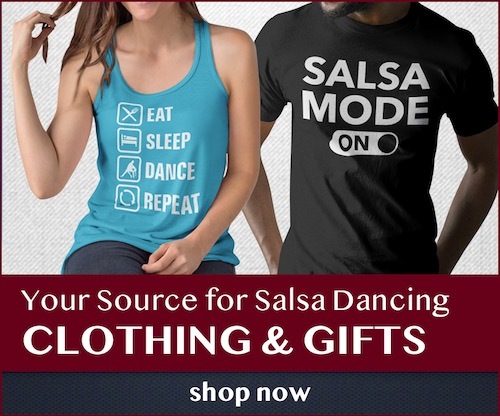 Plenty of Salsa instructors in the Bay Area to choose who actually can teach and have credentials, performance experience, competition experience, etc.